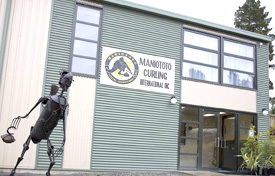 About Maniototo Curling International Inc.
Maniototo Curling International Incorporated created the Naseby Indoor Curling Rink in the centre of the small Central Otago community of Naseby, New Zealand. Run by local curling enthusiasts, the centre provides year-round tourism in the area. 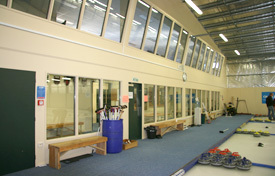 In addition to Indoor Curling, the centre also offers Outdoor Curling, an Ice Luge, Ice Skating and Ice Hockey. Since the indoor curling centre was opened in 2006, at a cost of $1.3 million, there has been significant positive benefits for the surrounding Maniototo District and Central Otago as a whole. In May 2007, Maniototo Curling International Inc.was assessed to be bringing in $250,000 per year to the area, in addition to the centres own profits. In 2008, an astonishing 13,000+ people curled at Naseby Indoor Curling Rink. During the building process from 2004-2005, over 6000 volunteers lent a hand. This amazing contribution earned them 2nd place in the 2007 National Trust Power Community Awards for Voluntary Contribution from the Community. Indoor curling is a great thing to see or do in Naseby, Central Otago. If you’ve considered trying curling, but thought it looked too difficult, think again! 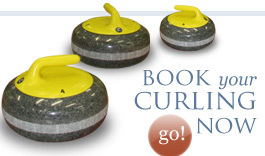 Indoor Curling is a great winter sport and at our Naseby Centre it is easy and fast to learn! The three different delivery techniques mean people of any age or ability can give it a go!